A company's drastic price hike of a generic drug raises many questions, but before looking to more government overreach as the answer, we should first understand government's role in the problem. The news that one drug company raised its price from $13.50 to $750 per dose of a medicine has thrust the entire pharmaceutical industry into the spotlight. The huge price hike has Americans accusing drug companies of price gouging, and demanding government intervention. But before calling for even more regulations, we should first ask one big – and fair – question: How could this company raise the price so drastically? First, it is important to understand how the industry and its price system works. There are basically two ways we get prescription medication. The first is from companies that invest a lot of time and money to research, develop, produce and sell a drug. To protect their investment, and give them time to recoup their costs as well as earn profits to repeat the process with new drugs, the government allows these companies patent protection. This means for a period of time, only one company can make and sell their “brand name” drugs. The other way we get medicine is after patents run out. When that happens, other drug companies are allowed to start producing and selling the same drugs, known as “generic” versions. Companies that make generic medicine on the other hand don’t have the same R&D costs, so they can charge far less. According to the National Center for Policy Analysis (NCPA), the average cost of a brand-name prescription was $268 in 2011 and only about $33 for a generic drug. And when the generic companies start selling the same drugs for less money, the brand name company has to drop its prices too or forgo sales altogether. But even generic drug prices have begun to skyrocket over the past couple of years, which brings us to the newest outcry. One reason is because of drug company – manufacturing and wholesale – mergers. The NCPA says today three large firms control nearly 90 percent of wholesale drug distribution. In 1975 there were 200. And fewer generic drug makers means fewer versions of the same drug are on the market. Less supply for the same or increased demand will mean higher prices. There have also been manufacturing and inventory shortages. The FDA monitors every facility that manufactures drugs and can put the company on notice should any issue arise, and temporarily suspend production. There have also been long delays by the FDA to process applications for generic drug manufacturers. Right now there are around 4,000 applications in the queue, with each application taking about 27 months to process. All of these factors have politicians and others are looking to drug companies to justify their pricing methods. But before calling on even more government oversight, they should also look at the bigger pricing picture. As with other health care expenses, third parties are so involved in the payment for prescription drugs, there’s little incentive for people to care about their cost. As with government subsidies and insurance companies, the more a third party picks up the tab for something, the less reason anyone has to lower the cost. 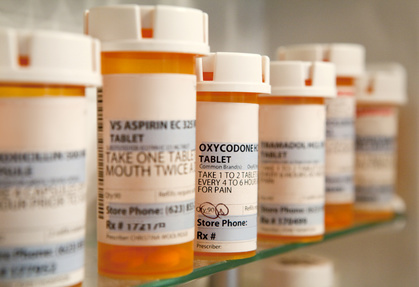 Prescription drugs are no exception.